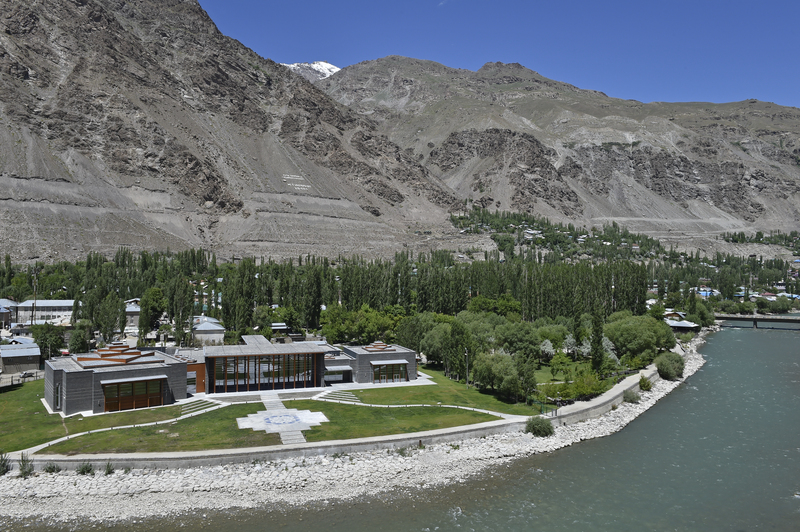 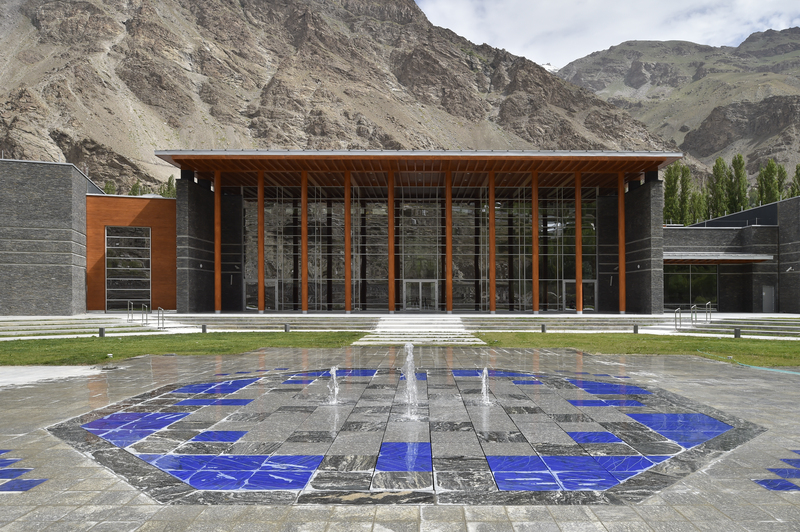 The Ismaili Jamatkhana and Centre is located in Khorog, Tajikistan. 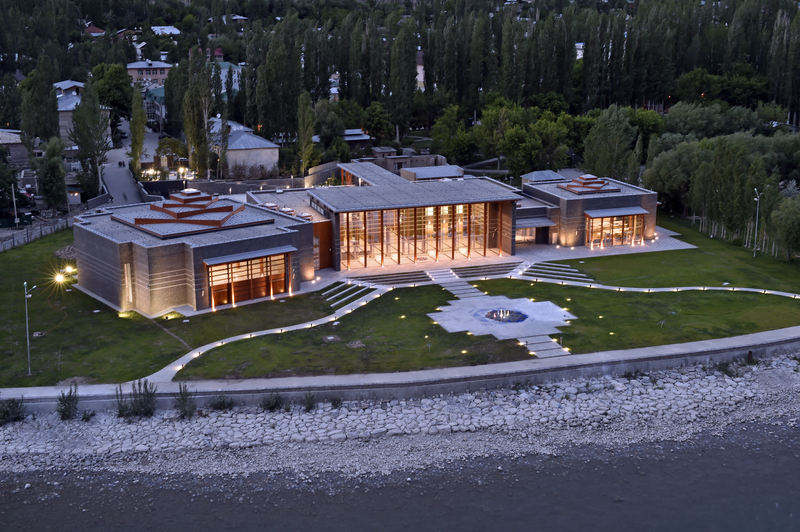 This Centre is the latest in a series of projects which have contributed to the development of the city of Khorog, the capital of the Gorno-Badakhshan Autonomous Region in Tajikistan. 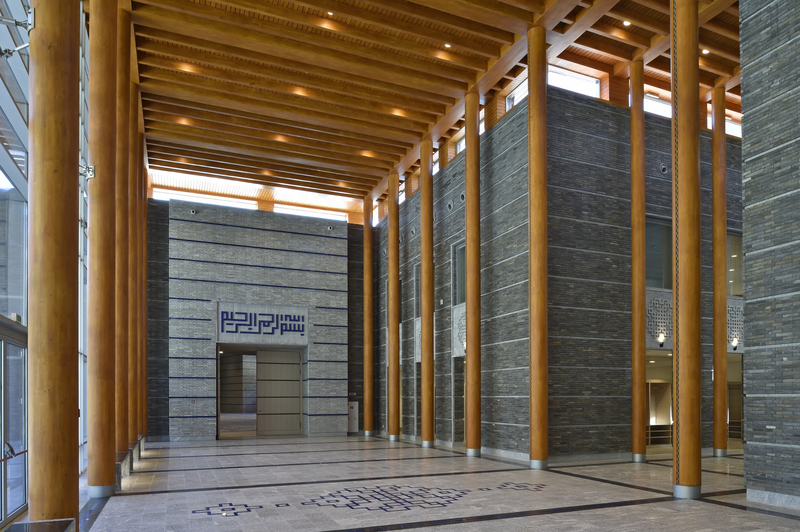 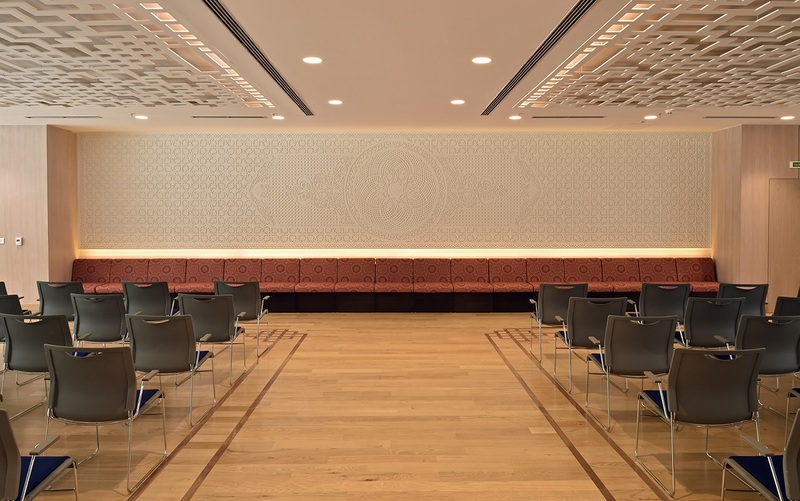 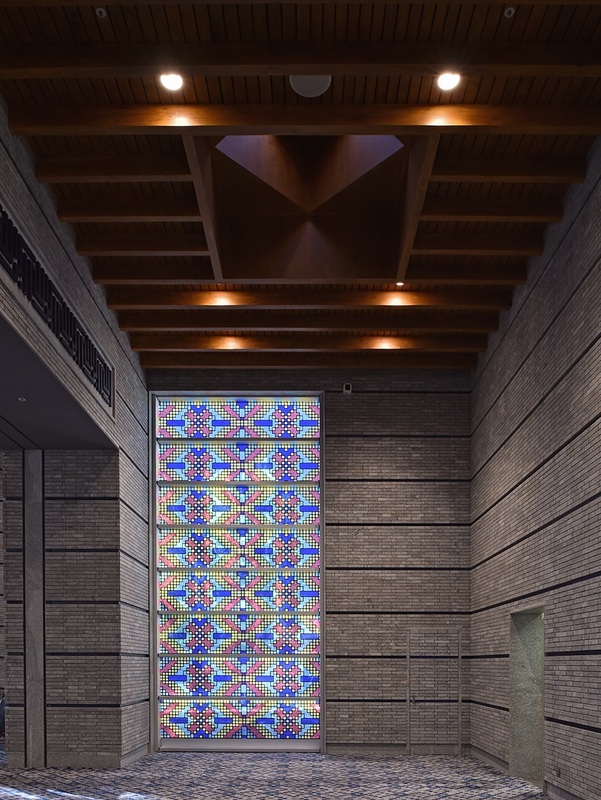 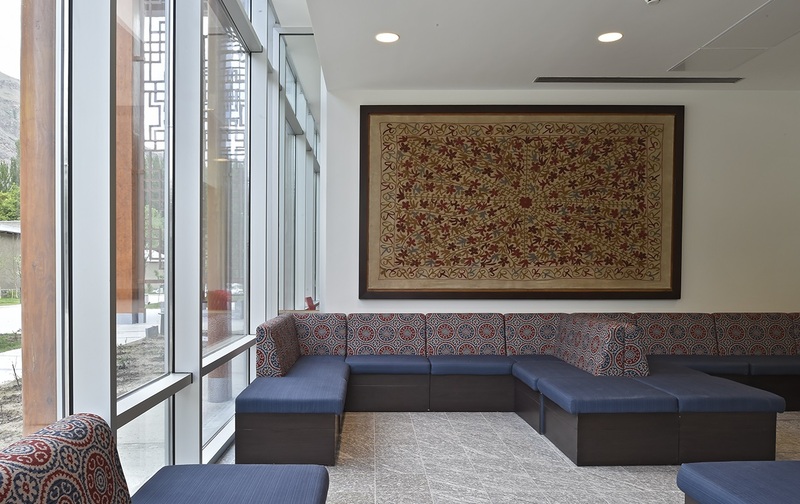 The completed Centre offers tranquil spaces for both spiritual and secular endeavour. 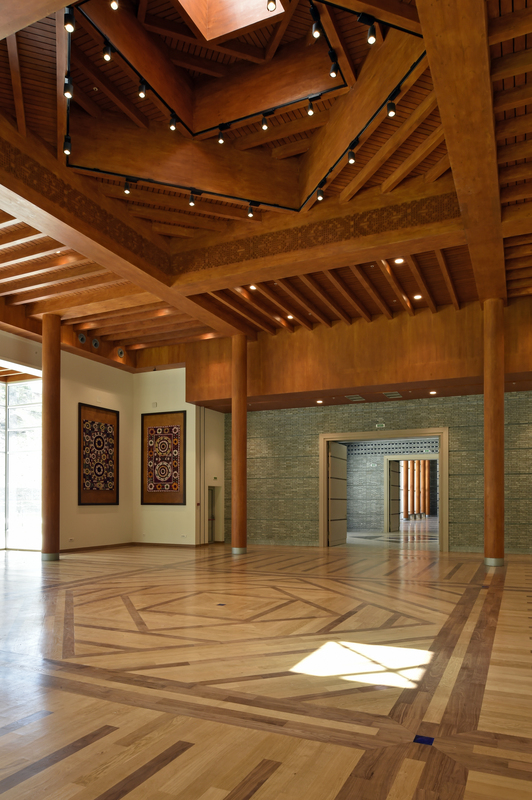 Its focal point is the prayer hall, which features a Pamiri roof, stone walls, stained glass windows, and carved wood pillars. 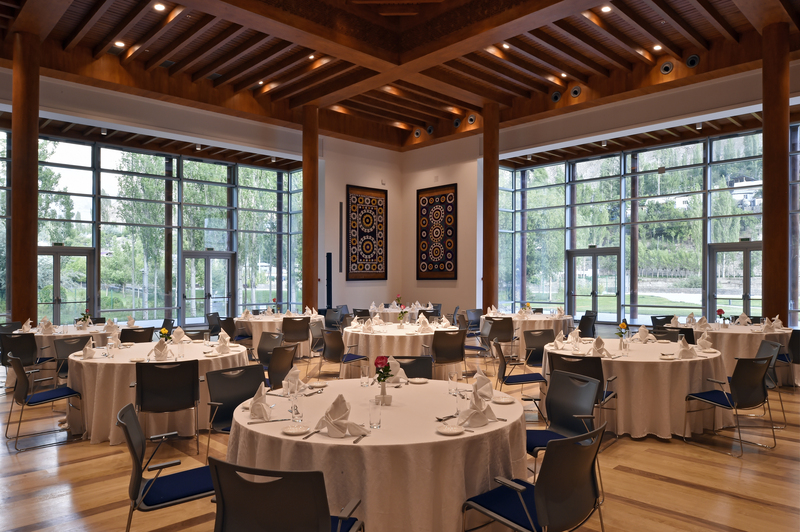 The Centre also houses a social hall, library, meeting and multipurpose rooms, a foyer, a covered veranda, an amphitheatre, and courtyards. 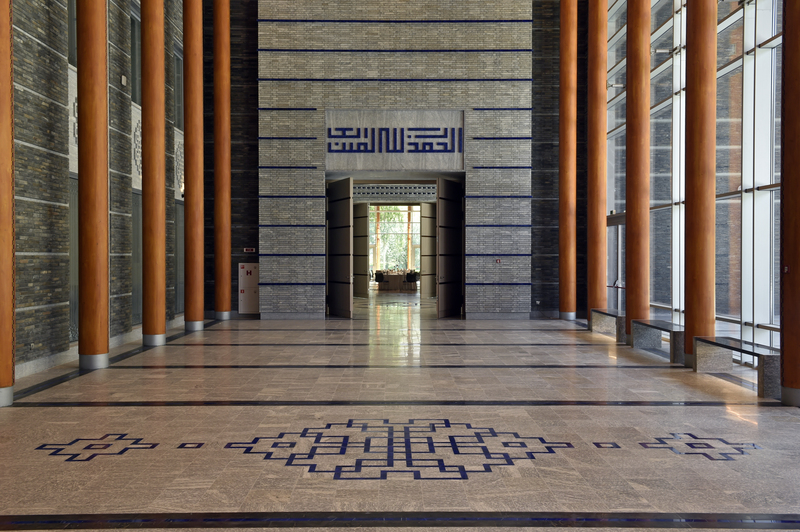 The Building is rich in symbolism and draws inspiration and design vocabulary from its surroundings –mountains and the river, architecture of the area, local building materials and construction techniques, as well as the Arar trees. 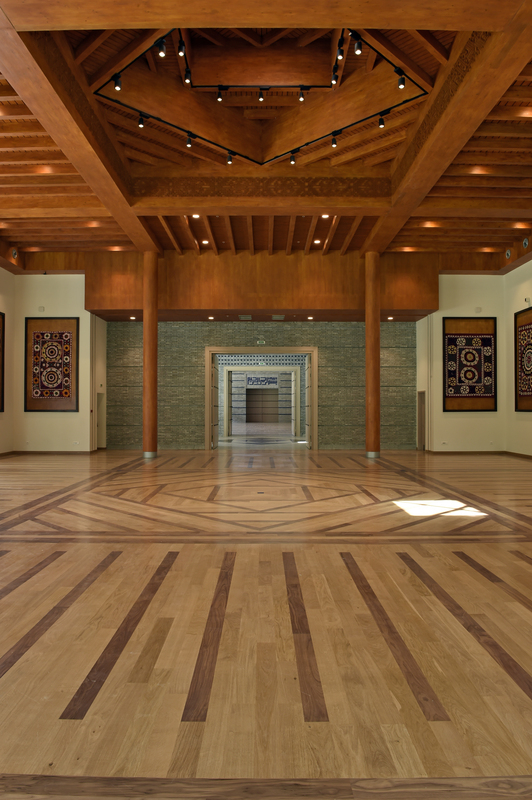 The complex is seen as a grand pavilion in the garden along the river walk and city park. 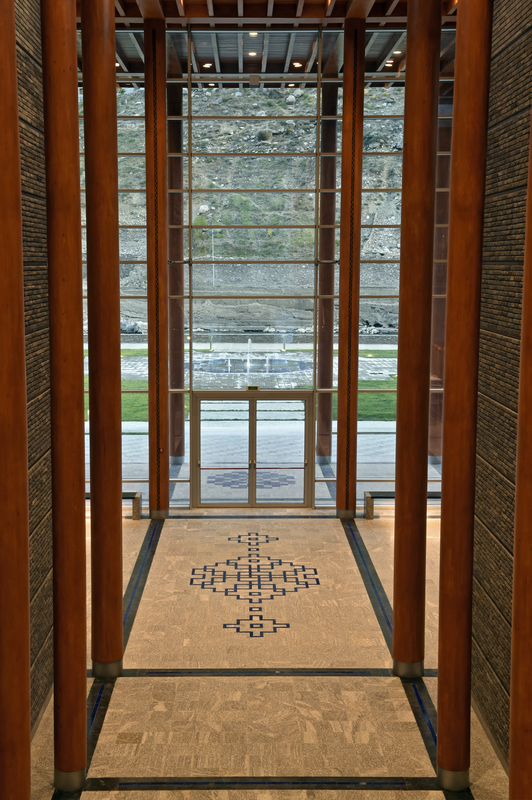 Civic plaza stairs lead to the terrace which looks into the foyer. 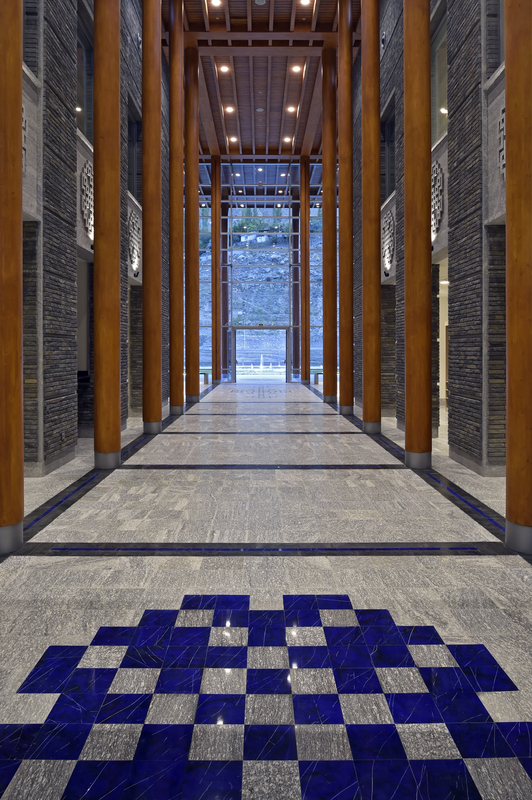 The courtyard uses natural stone paving interspersed with grass – which is extensively used in the area. 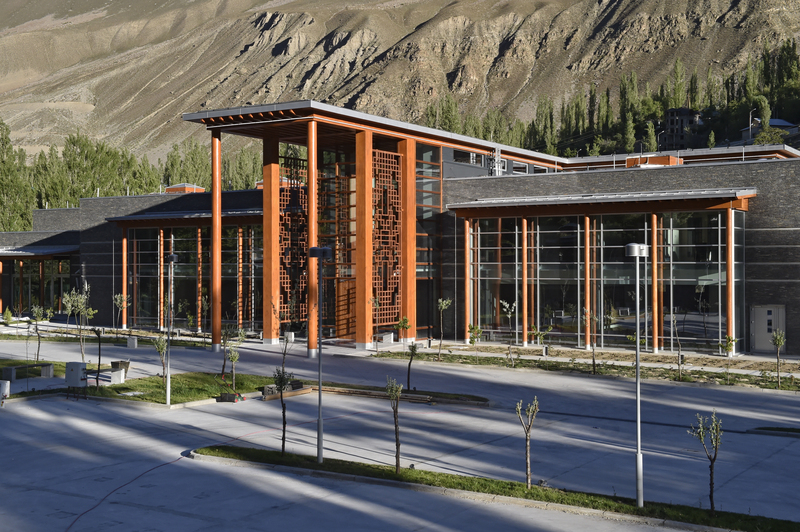 Random ledge stone wall forms the exterior cladding of the buildings, as a series of free-standing walls commonly found in Khorog. 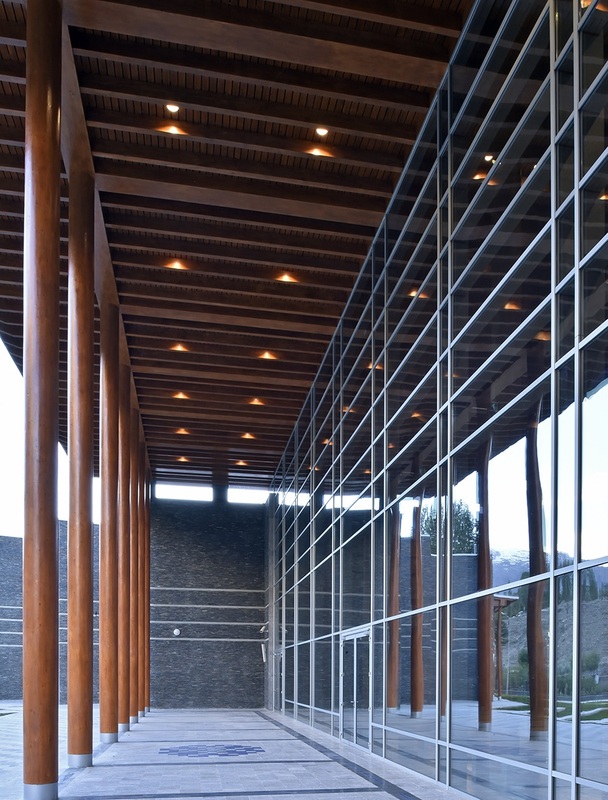 Openings in the wall are dealt with timber-glazed partitions which are inspired by the verandas in the local buildings. 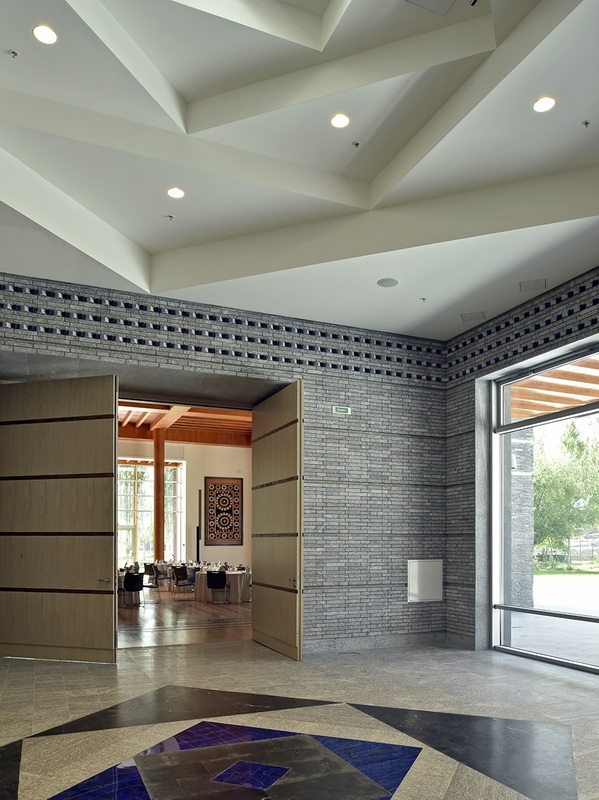 The roof structure is constructed in concrete, steel and wood to imitate traditional expression. 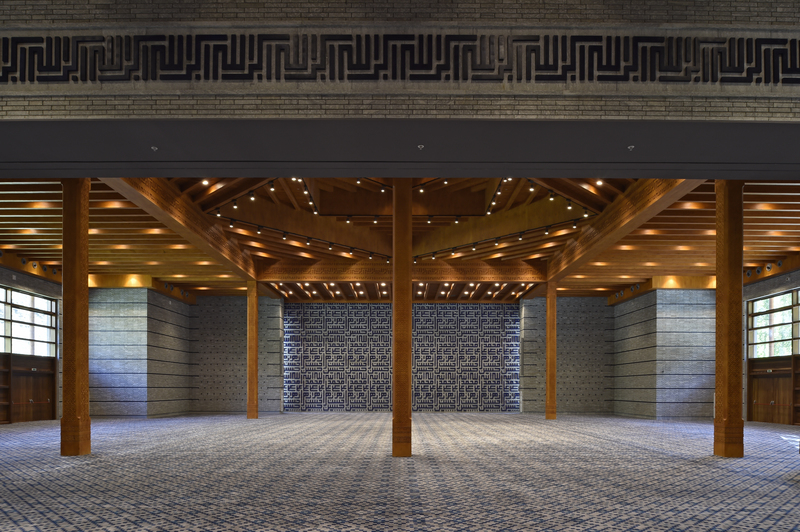 All materials were part of the original design submissions, but have been taken to a higher level of detail and sophistication. 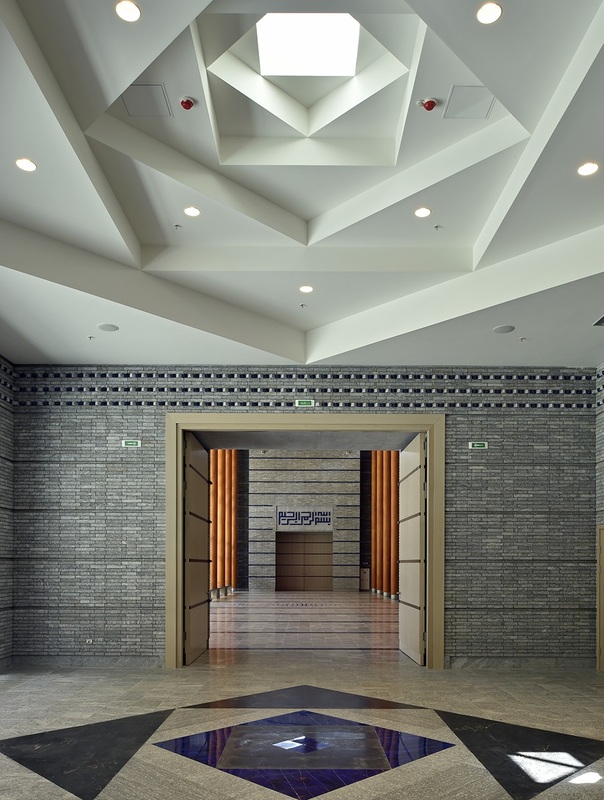 The view of the building from the entry walkway shows a strong sense of geometry with two blocks on either side.